We've discussed how much sleep you need (at least seven hours, for most people), but often our real question is the flip side: Can you get away with less than the optimal amount, or even replace your night's sleep with a series of round-the-clock naps? "We should not be talking about how much sleep people need in any way that's different from how many calories we need," says sleep specialist Dr W. Christopher Winter. Just like 2000 calories (8368kj) is not the right amount for everyone, neither is a one-size-fits-all number like eight hours of sleep. If you are sick or if you exercise a lot, you may need more sleep. And as you age, you will probably need less. According to the US National Sleep Foundation, adults should get between seven and nine hours of sleep each night. The Foundation's panel reviewed studies and used their own clinical experience to come up with those numbers since there is no way to conclusively determine how many hours an individual needs. Seven to nine fits with the available evidence. The panel labelled a wider range, six to 10 hours, as "may be appropriate". That range is for adults aged 26 to 64; young adults may be fine with 11 hours, and nine is tops for those 65 and over. That doesn't mean everybody would be fine with six hours. It means that some six-hour sleepers may have sleep problems, but for others, six hours just happens to be what their body needs. Dr Winter previously reminded us that people often get more sleep than they think they do, so check in with your Fitbit if these numbers don't sound realistic. Sleep deprivation's adverse effect on multitasking performance, weight regulation, job safety, mental health, sugar regulation, blood pressure, and cardiovascular health was noted, particularly with nighttime sleep deprivation during the workweek. The effects of sleep deprivation go beyond mere sleepiness. Besides the effects mentioned above, you may lack the judgement to make ethical decisions, or be more likely to gain weight over time. Missing out on sleep can make you more likely to die of a heart attack. Longer term, work schedules that routinely disrupt employees' sleep are on the IARC's list of "probable" causes of cancer. That's the same category as red meat, hot beverages and the pesticide glyphosate. To be clear, we don't know for sure that shift work is a carcinogen, but there are enough links between sleep deprivation and poor health that the idea is not far-fetched. So far, we've been assuming that you get all or most of your sleep in one big chunk at night. 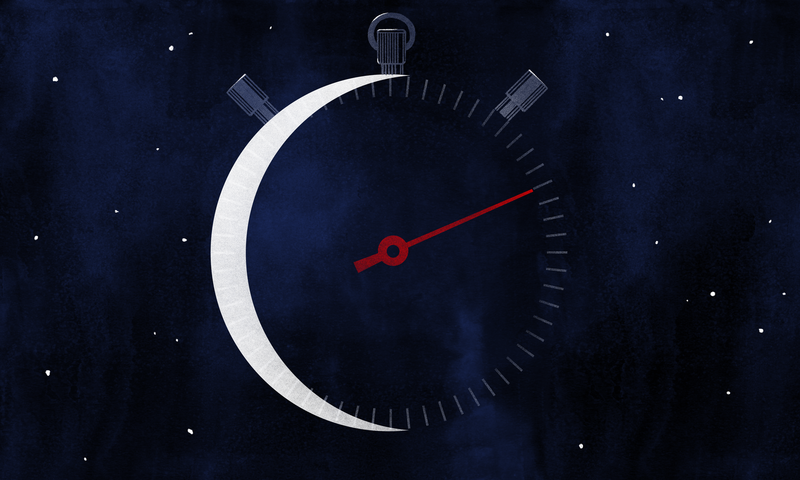 Long-time Lifehacker readers might remember that a few years ago, polyphasic sleep was all the rage: Just take six tiny naps per day, and you can ditch the whole idea of getting a good night's sleep. If this worked, it would be the ultimate time saver. Great thinkers throughout history supposedly slept very little or on erratic schedules - Leonardo da Vinci and Thomas Jefferson are classic examples. But those stories don't really hold up to inspection, and conveniently these geniuses are all dead and can't be interviewed. To be clear, a comfortably long middle-of-the-day nap is still fine, and if that's part of your routine you are welcome to continue. Young children need naps as part of their daily sleep, too. But if you're taking short naps just to get through the day, you probably didn't get enough sleep in the first place. The idea of polyphasic sleep as a productivity tool was inspired by studies like this one published in Work And Stress that examined how crews in sailing races were able to stay alert around the clock. The sailors didn't sleep at night because that's when collisions and trouble were more likely to happen, so they were left with no choice but to take short naps throughout the day. The most productive sailors took naps ranging from 20 minutes to an hour. So, like it or not, sleeping at night is here to stay. Naps can help you survive if you don't get enough sleep at night, but for a healthy mind and body you'll have to make sure to hit the sack for at least six hours a night - and for most of us, probably seven or more. I've just got a 2 week old boy and getting 2 x 4 hr naps, and then a 20min during the day. I'm still alive for the time being but boy I miss a good 8hrs. My short term memory is shot, and I can tell my energy is all over the place!